VIP CLEAN WISHES YOU A MERRY CHRISTMAS! Our offices will be closed from 23rd December 2018 to 4th January 2019. VIP Clean announced that it will remain closed for summer holidays from August 7 to 25. VIP CLEAN WISH YOU HAPPY HOLIDAYS! 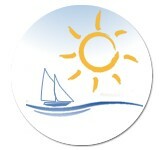 VIP Clean announced that it will remain closed for summer holidays from August 10 to 30. 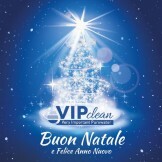 VIP Clean announces that our offices will be closed from 22nd December to 6th January. VIP Clean is pleased to announce a new partnership with O&M Solutions, a company specialized in the solar and photovoltaic panels cleaning, part of the group ADROX. 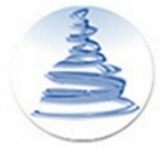 Professionalism, innovation, technology and convenience are the common goals that share the two companies and created a strong and fruitful cooperation. The new distributor VIP Clean is based in LATAM, CHILE. Vip Clean, thanks to its extensive expertise in the production of cleaning systems, is pleased to present its new range of machines for means of transport cleaning. Our machines have been designed to meet the needs of cleaning and washing of external and internal surfaces of trains, trams, metro and buses. Transport Cleaning Equipments of VIP Clean offer bespoke solutions to individual customers needs, distinguished by the high quality and reliability of the brand VIP Clean. VIP Clean announced that it will remain closed for summer holidays from August 11 to 24. VIP Clean awaits you in September with many new features on our range of equipment and accessories for cleaning windows inside, outside, photovoltaic and solar panels. Absolute News! From today OUT COMPACT PRO allows you to work with 2 workers at the same time, speeding up the cleaning and ensuring the same performance in terms of efficiency and quality, features that distinguish all the machines of the range VIP Clean. We are pleased to announce the release of our new machine OUT COMPACT PRO ideal for cleaning windows up to 20 meters in height and for the maintenance and cleaning of the solar panels up to 1 MW. Thanks to the reverse osmosis process OUT COMPACT PRO produces up to 250 liters of pure water per hour and ensures optimum cleaning without damaging surfaces. OUT COMPACT PRO is easy and convenient to carry. It has all the components on a trolley on wheels, including the reel with 100 meters of hose. The machine does not use detergents and is not harmful to the environment.